Newly constructed properties suffer from leaks and mould problem probably as frequently as old buildings. The difference is that in the old buildings the water damage and mould often develops after a failure of particular components due to age or lack of maintenance in the new building the water damage is usually caused by inadequate construction practices. I have recently inspected an apartment in the Battersea Reach area of London. 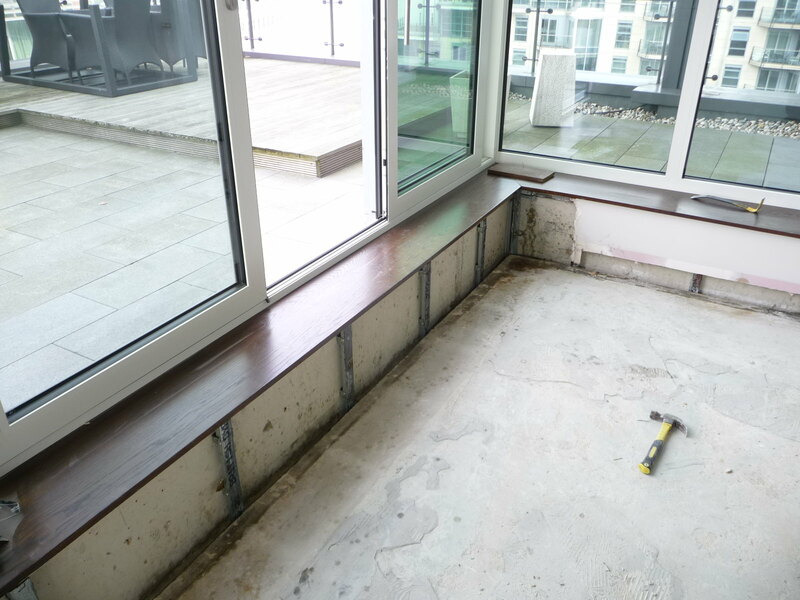 The roof and patio of this top spec apartment has developed a water leak which flooded small parts of the property and cause mould to grow inside of the wall cavities. I have been appointed to investigate the matter and specifically to carry out an investigation of specific wall cavities. The objective of the inspection was to identify all affected areas including internal surfaces of cavity walls, remove the identified fungal contamination by appropriate methods and apply suitable treatment to the affected surfaces. 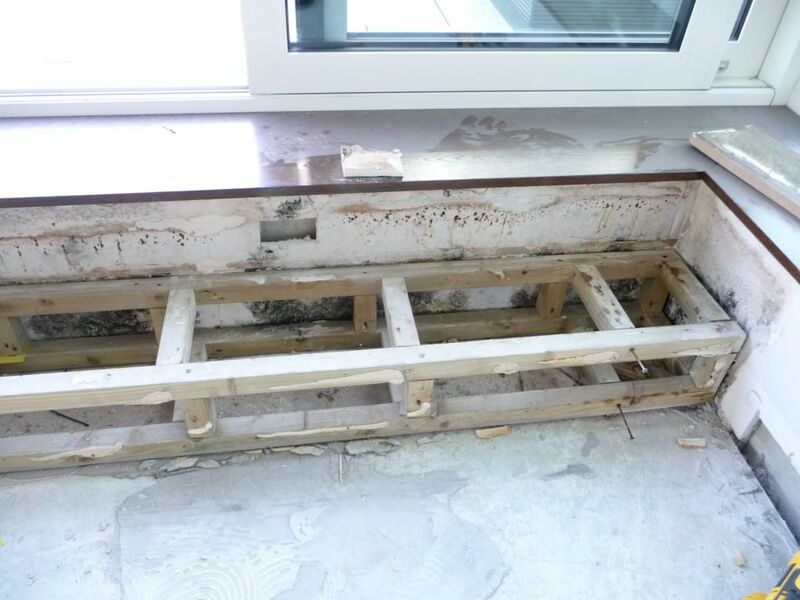 Inspection has been carried out to the plasterboard wall panelling below the patio door which was showing signs of significant fungal contamination. Although, the plasterboard material was dry at the time of the inspection the water damage and fungal contaminations was significant warranting a complete removal of the affected section of the plasterboard wall. The exposed wall cavity was cleaned of any visible fungal growth by scrubbing, chemical application and HEPA (High Efficiency Particle Arrestor) vacuuming commonly employed for removal of toxic substances. The contaminated material was bagged and removed from the property. All surrounding materials and decorative finishes were inspected and deemed to be free from water damage, excessive moisture and fungal contamination. Further inspection was carried out to several sections of internal partition walls separating different rooms. Small amounts of mould contamination were identified to the bottom of the plasterboard walls affecting approximately 5cm of the lowest section of the walls. 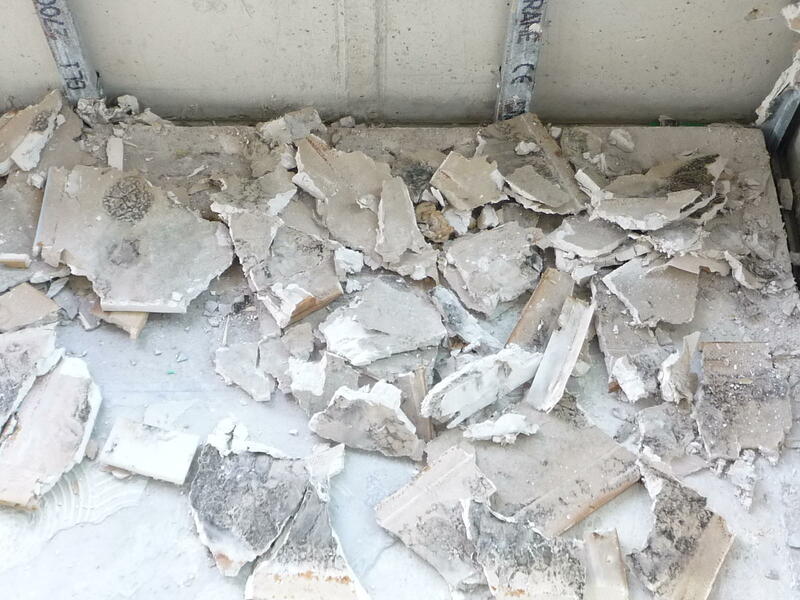 Identified fungal contamination was removed and wall surface was chemically treated. Boroscopic inspection of the cavity walls did not identify any areas of fungal contamination in the wall cavities. The bottom 5cm of the plasterboard walls have been removed and further 20cm beyond any visible mould contamination were scrubbed and chemically treated. At the time of the inspection the all the previously affected walls were dry and structurally sound. 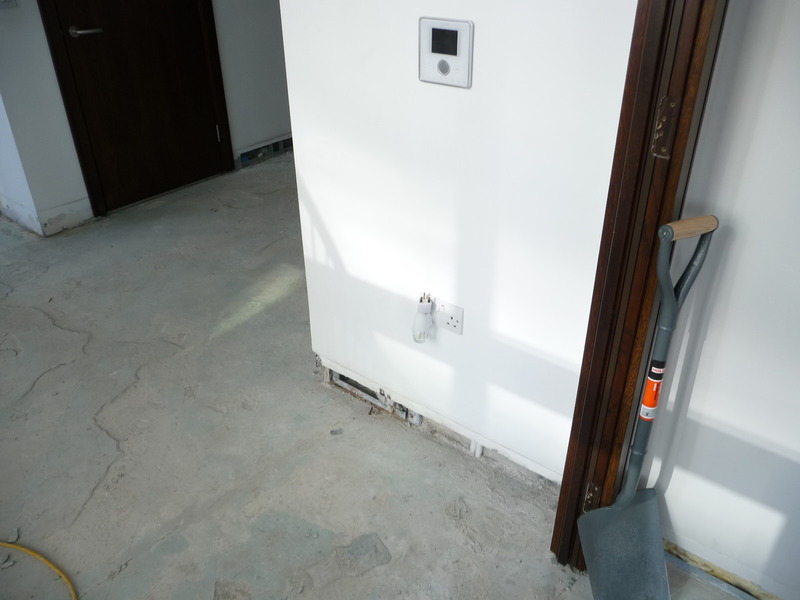 We concluded that at the time of the inspection all contaminated materials were removed, cleaned surfaces were chemically treated and any dust and debris which might have been contaminated by mould residue and spores was removed by HEPA vacuuming. All accessible areas were inspected for signs of water damage and fungal contamination and were found to be in good condition. 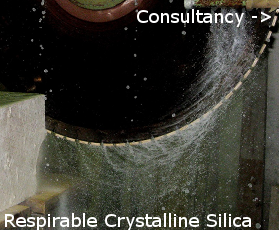 The root cause of the contamination, a service leak, was identified and resolved prior to the inspection.